Calculator determines partial and total 8-hour time-weighted average exposures and noise doses. Employee works for 2.5 hours in 90 dBA and 5.5 hours in 85 dBA. Enter 90 dBA, 2 hours and 30 minutes for location 1 and 85 dBA, 5 hours, and 30 minutes for location 2. The result for this would be a TWA of 87 dBA and a dose of 65.7%. 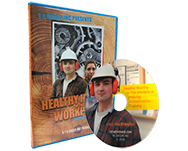 Key Fact: OSHA's maximum allowable daily 8-hour TWA with protection is 90 dBA or 100% noise dose. 8-Hour Time-Weighted Average: Average noise exposure figured for an 8-hour period. Permissible Exposure Level (PEL): Maximum allowable 8-hour TWA noise exposure (OSHA's limit is 90 dBA). Noise Dose: Percent of PEL to which worker exposed. 90 dBA 8-hour TWA equals a dose of 100%. An 85 dBA 8-hour TWA equals 50%. The exchange rate is used to figure this. Exchange Rate: Amount of dBA at which noise dose doubles. OSHA uses a 5 dBA exchange rate which means that a worker exposed to 95 dBA receives twice the dose of 90 dBA. Noise dosimeters: Devices used in sound surveys to calculate noise exposure. Not sure what sound levels your workers are exposed to? Have us perform a sound survey for you.